Dental phobia is a real and common problem among children and adults alike, leading far too many patients to skip regular checkups entirely and develop serious oral damage and decay as a result. At Canyon Creek Family Dentistry, helping you feel truly at ease inside our practice is a must for our dentists and team members. If our caring and friendly approach is not enough, though, sedation dentistry is also available to help soothe frazzled nerves and create a comfortable atmosphere. Please contact our Richardson office today if you’re interested in scheduling a visit. 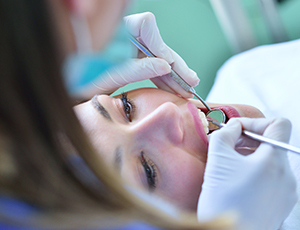 Oral conscious sedation comes in the form of a medication that our office will prescribe to you. We will also give you detailed instructions on when to take the medication before your scheduled appointment. We do require that all patients undergoing this form of sedation arrange for a trusted friend or family member to bring them both to and from their appointment, as they will be incapable of driving themselves safely. Once we’ve helped you get settled into the office chair and ensured you’re feeling at ease, our dentists will get started with your treatment. Patients are likely to feel like they’re in a deep state of relaxation while remaining conscious enough to respond to our team’s questions and requests. Once they’re recovered, many people only have vague memories of the appointment, which they often prefer. 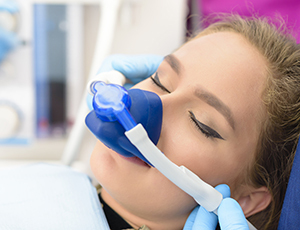 Nitrous oxide is more commonly known as “laughing gas,” and it’s a relatively mild sedative that can be safely used on adults and children alike. When you arrive for your appointment and settle into the treatment chair, a team member will fit you for a nasal mask and start the flow of nitrous oxide. After a few minutes of breathing it in, patients should feel happier and more comfortable. If the effect is too strong or too weak, the dosage can be adjusted to fit your needs. One of the biggest benefits of choosing nitrous oxide is that a patient can recover from its effects within minutes once the mask is removed. That means you can drive yourself home and get back to school/work without any significant downtime!